BlackBerry phones are known for their software and security. They now run on Google Android. BlackBerry has been making smartphones longer than almost any other company, and it puts a particular focus on security and productivity, filling a niche that no one else quite so consistently manages to. It started out back in 1996, when it was known as RIM and making pagers. Since then the company has launched dozens of handsets, using a mix of its own operating system and now Android. The best thing about BlackBerry is arguably its commitment to QWERTY keyboards. Although not all its phones have one most do, while very few handsets from any other company do. They’re well-designed keyboards too, allowing you to type out messages and even longer texts with ease. That’s a big part of what makes these phones so good for productivity, but the software helps too, with the likes of BlackBerry Hub combining all your communications in one place, for speed and ease. BlackBerry devices are also great for security, with various systems keeping your phone secure – in fact they’re so secure that US presidents tend to use BlackBerry’s rather than iOS or Android devices. But BlackBerry also delivers accomplished handsets, with good screens and a decent amount of power, and it’s not afraid to innovate, with the unusually shaped BlackBerry Passport being a recent example of that. 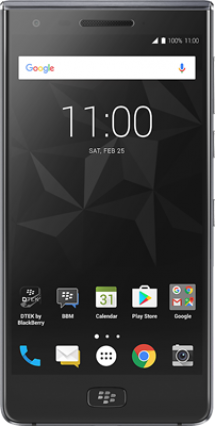 Most recently BlackBerry has launched the DTEK60 and DTEK50. These phones might lack catchy names, but they’re two of the most secure handsets on the planet, and their names come from the DTEK security system which constantly scans them for any vulnerabilities.